Welcome to Module 3 of Get Clear, Get Clients: Stop Second-Guessing Yourself! This one is all about getting unstuck. I’m going to give you tools to help you move through that resistance so that you can find confidence and momentum. PART 1: WHAT’S HOLDING YOU BACK FROM PUTTING YOURSELF OUT THERE? In this video, we’re going to look at fears and worries that get in your way and how to stop doubting your own abilities. PART 2: WHAT DO YOU DO WHEN YOU’RE NERVOUS? In this video, we’re going to look at how you can reframe the word “nervous” to something that’s actually helpful for you and find the confidence to keep moving forward. Click here to download the fillable worksheet “Stop Second Guessing” (fill it out as you do the workshop). 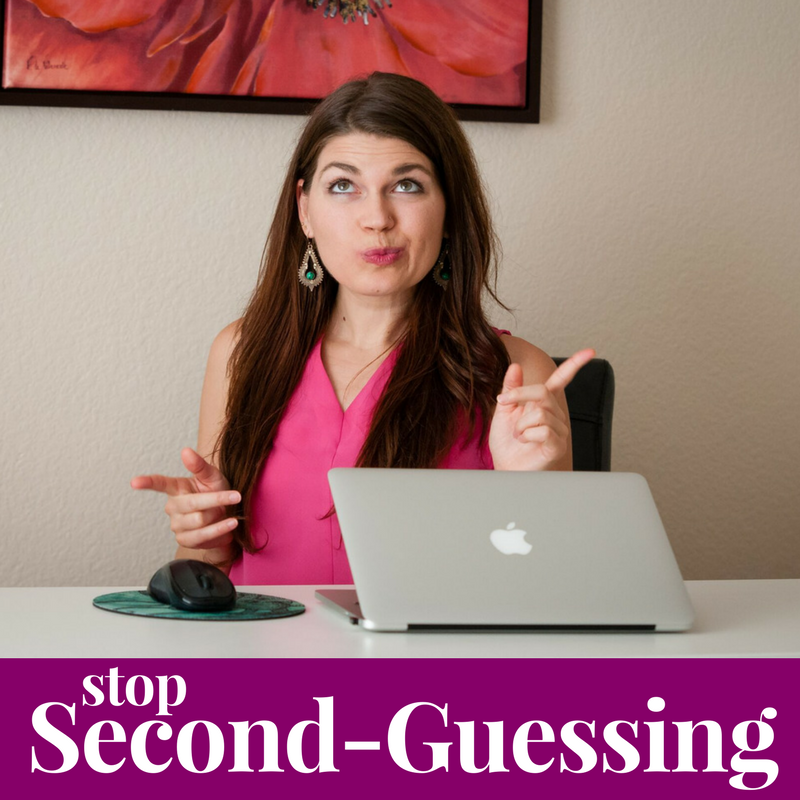 Click here to download the printable worksheet “Stop Second Guessing” (fill it out as you do the workshop). Click here to download the “How to Regain Your Confidence” handout (print or fill it out as you do the workshop).